The first sign of blush on your strawberries brings with it anticipation of the deliciously sweet flavour of freshly picked berries. Every day the berries get a little more colour and finally you know that you are just days away from enjoying the first strawberries of the year. The ripening process seems to take forever but then the day comes and you just know that out in the garden, the first of the years berries are ready, fully ripe and waiting to be picked, so you head outside, bowl in hand …….. 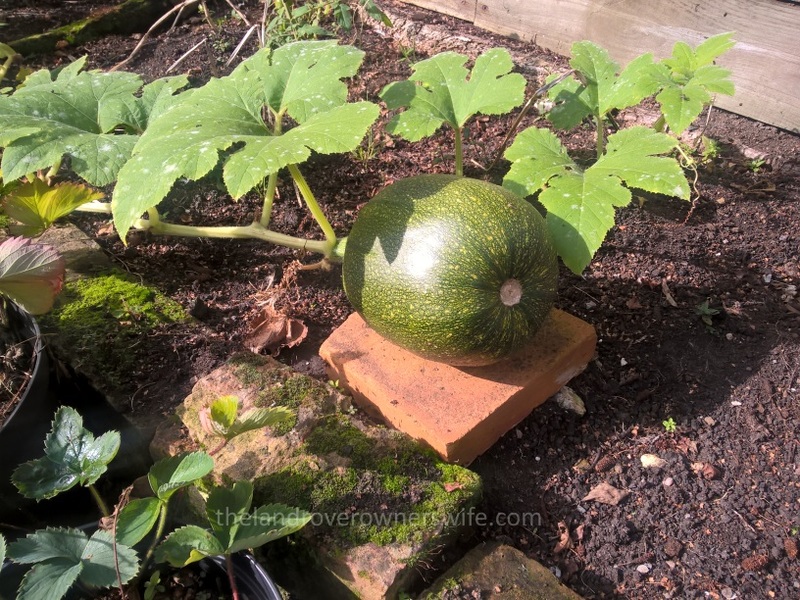 Categories: .... on growing your own | Tags: Food, fruit protection, gardening, grow your own, home makes, strawberries, vegetable gardening, vegetables | Permalink. 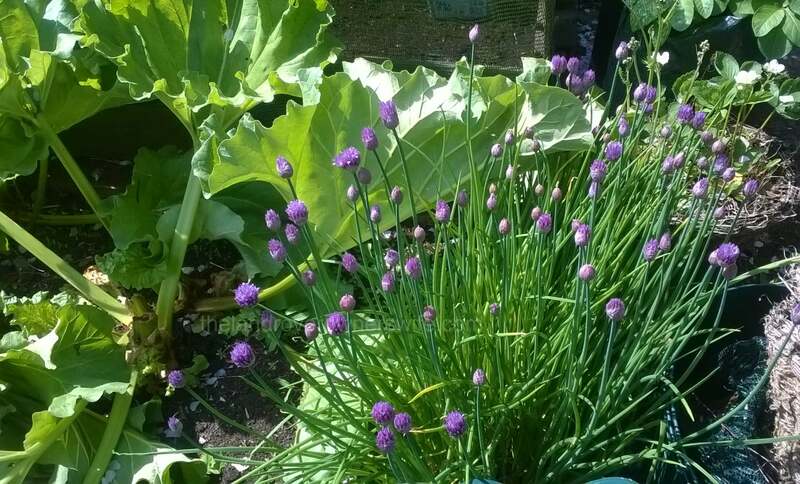 I love the sight of the chives in flower. Categories: .... on growing your own | Tags: Food, gardening, grow your own, strawberries, vegetable gardening, vegetables | Permalink. 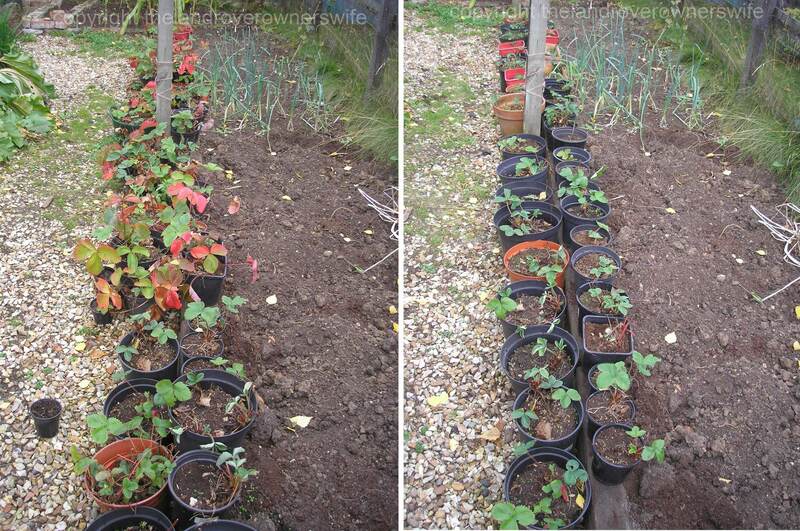 Regular readers of this blog (poor misguided souls that you are) will probably be aware that we have a healthy number of strawberry plants which produce a pleasing number of berries from early Spring, through to late summer. I seem to think that at last count we had in the region of around 120 plants which Middle Mudlet thought was more than enough and any more would just be plain greedy. 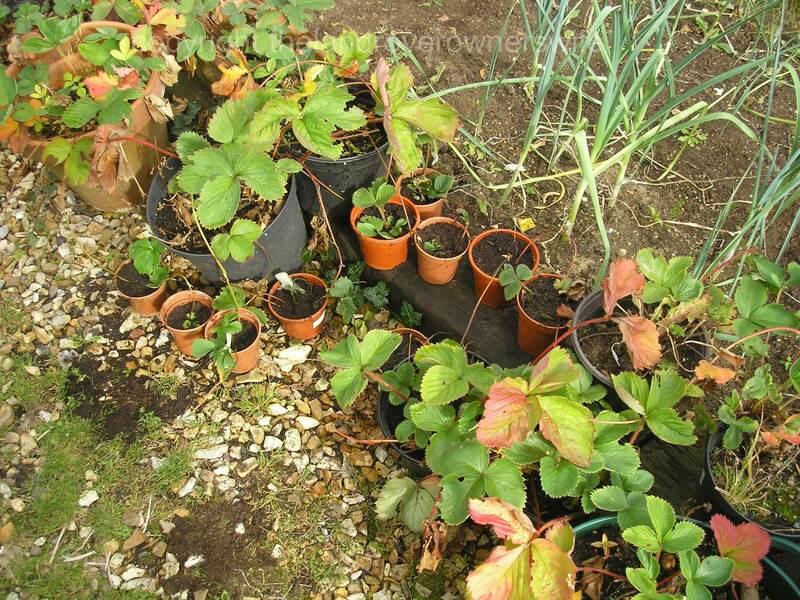 Categories: .... on growing your own | Tags: Food, fruit, grow your own, strawberries, strawberry runners, vegetable gardening, vegetables | Permalink. 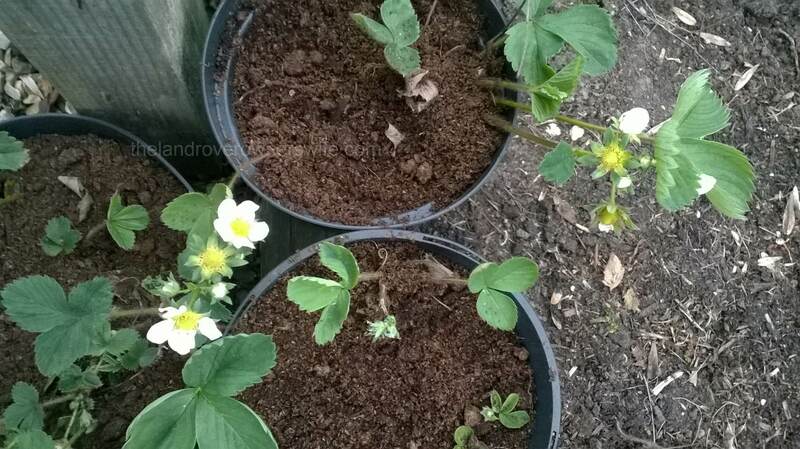 With some of my strawberry plants flowering and a few already carrying the first of this years strawberries, albeit newly developed little yellow berries, I really couldn’t put off the job of tidying, trimming and repotting the plants, any longer. 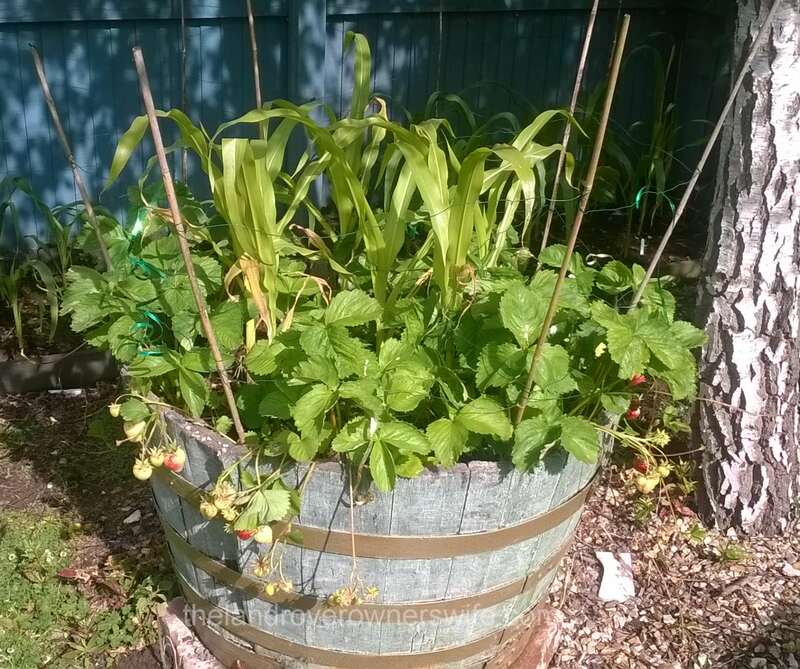 I don’t really have space for all my strawberry plants in the beds and so the vast majority of them are growing in a variety of pots and tubs, although there are 3 in permanent residence in each of the half barrels. 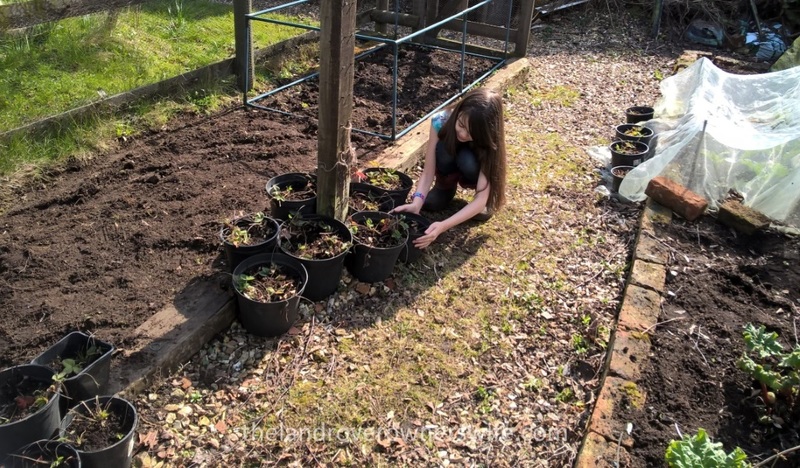 All of them though, from last years runners, to the older, more established plants, were looking a tad neglected and so with the sun shining, I set about rectifying the situation. 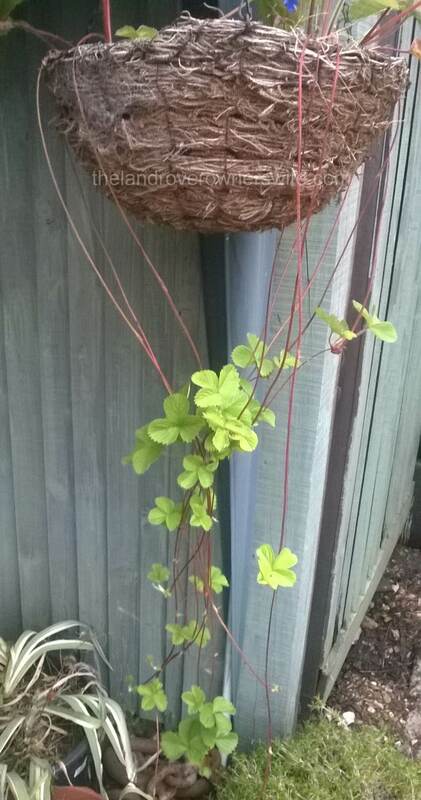 Categories: .... on growing your own | Tags: ants, Food, fruit, grow your own, strawberries, vegetable gardening, vegetables | Permalink. Categories: .... on growing your own | Tags: chillis, Food, gardening, germination, grow your own, strawberries, vegetable gardening, vegetables | Permalink. Categories: .... on growing your own | Tags: Food, Fruit growing, gardening, grow your own, strawberries, strawberry runners, vegetable gardening, vegetables | Permalink. Well what can I say without sounding like I’m blowing my own trumpet? 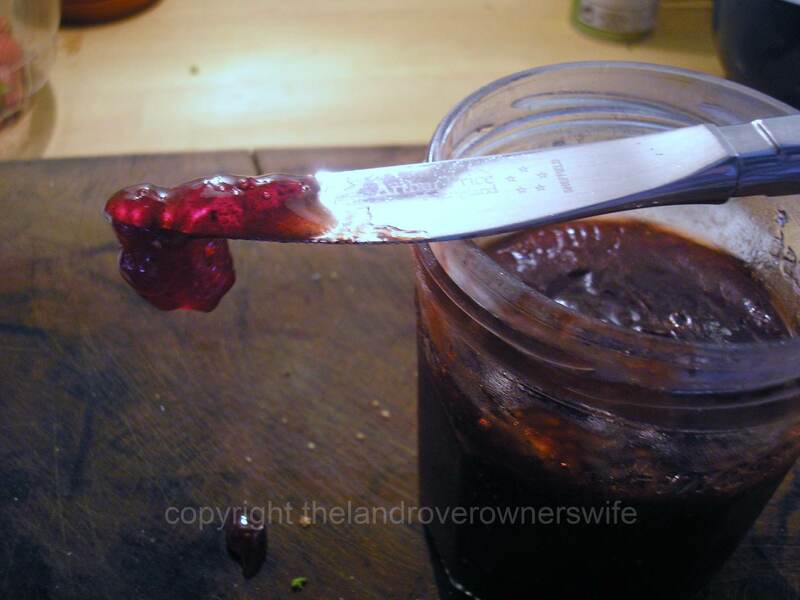 Nothing really because I am thrilled to bits with how my strawberry conserve has turned out but I do think it is more ‘Jam’ than ‘Conserve’. It looks like jam, feels like jam and tastes like strawberries! It isn’t too soft but it isn’t firm like jelly either – it’s perfect, even if I do say so myself. 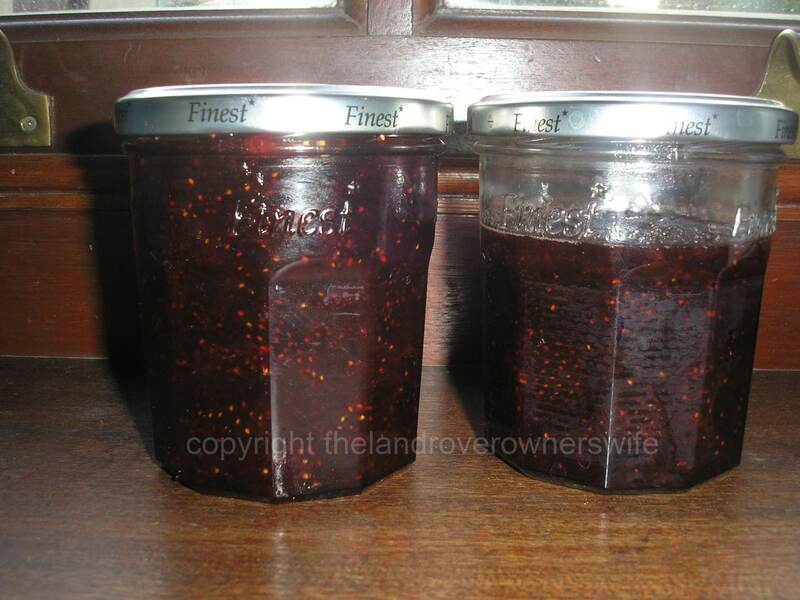 Categories: .... on home baking | Tags: Food, gardening, grow your own, Jam making, strawberries | Permalink. With my ever growing mound of freshly picked strawberries quickly reaching mountainous proportions, I needed to come up with yet another idea or three on how to use them. I hate to throw any home grown produce away and with the temperatures yesterday and today in the extremely high 20s and bordering on the low 30s (Mud informs me that the temperature actually reached 30.5 at one point this afternoon), there was a real danger of some of the berries starting to turn and so a solution had to be found pretty quickly. Categories: .... on Bonnie, Ciggy & Annie, .... on growing your own, .... on home baking | Tags: Conserves, Food, gardening, Home baking, Land Rover, Series 2, Series 3, strawberries | Permalink.